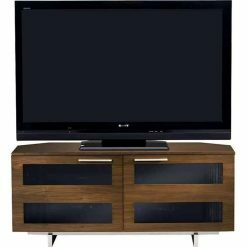 The BDi Avion Series II 8925 is a versatile piece of rustic wooden quality solid flat panel table furniture unit. 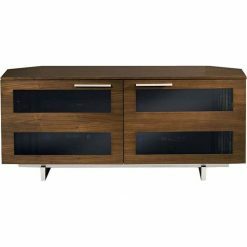 It will look great against a flat wall or nestled neatly into a corner in the bedroom, living room or lounge, thanks to the tapered rear panels. 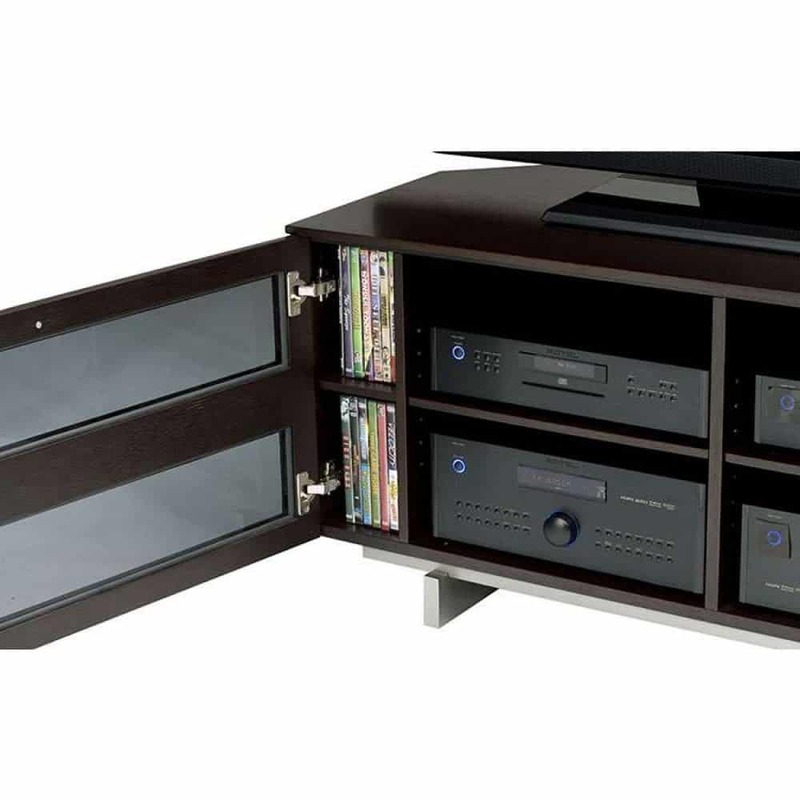 Two doors conceal two adjustable media console component compartments, which offer a customized storage solution. 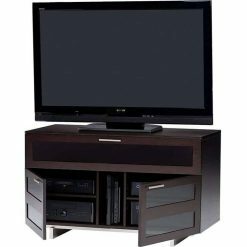 Versatile side shelves can be used to store a gaming console or media. 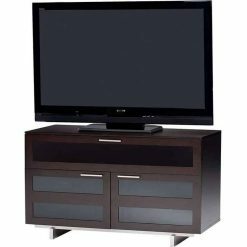 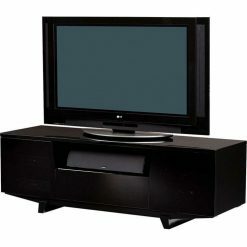 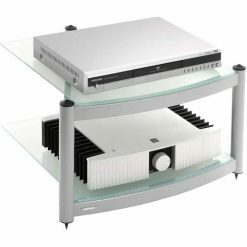 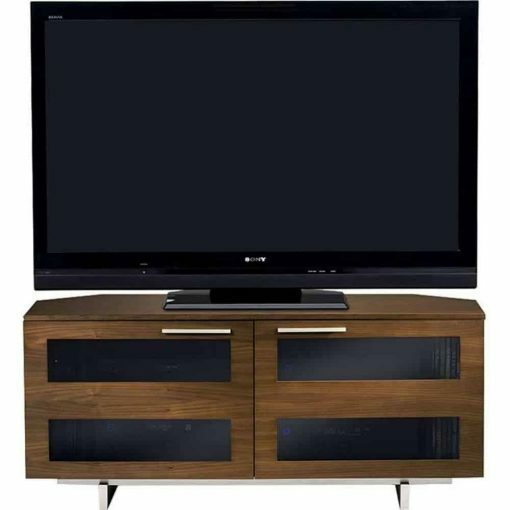 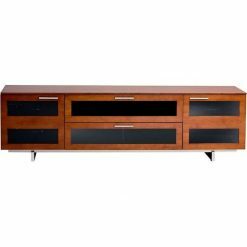 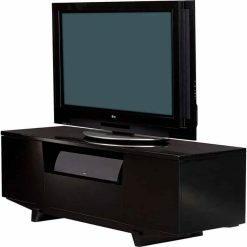 This BDi TV stand includes a cable management system, which will keep all the cables in one place. 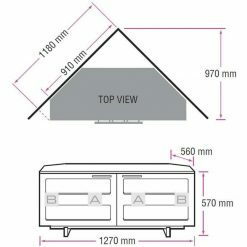 The flow-through ventilation system will provide enough air circulation to allow components to run coolly without the danger of overheating them. 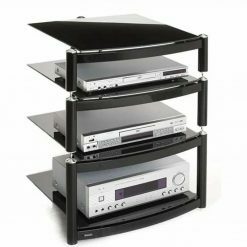 Hidden castors allow the user to move the stand from one area of the room to the other without having to lift it. 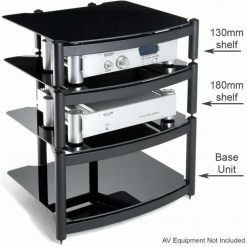 Integrated levelers keep it steady and sturdy. 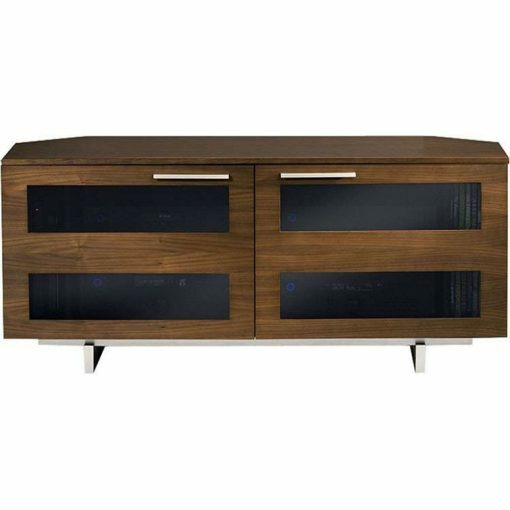 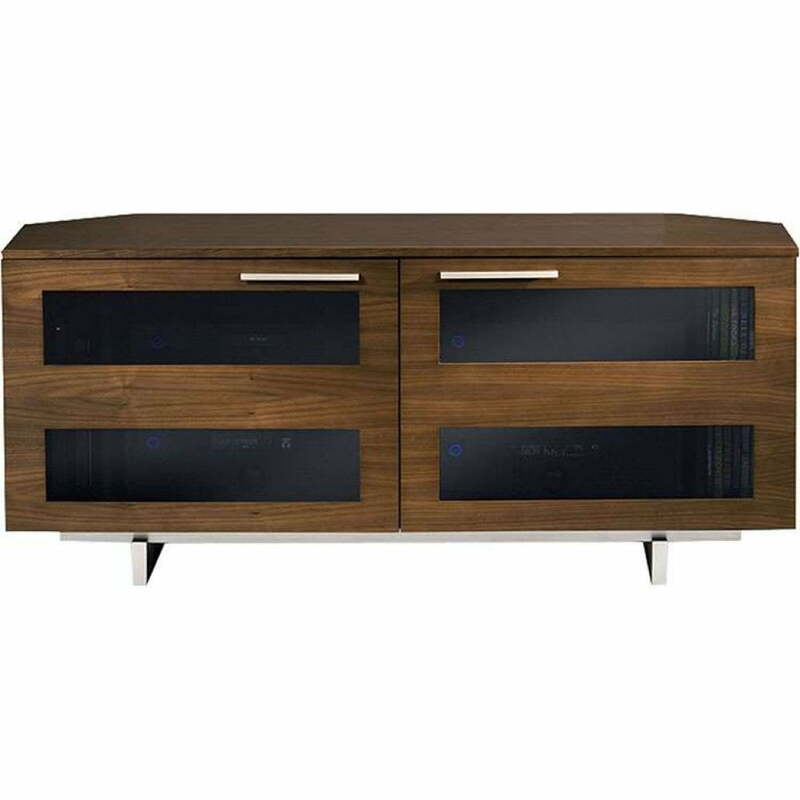 The BDi 8925/CW comes in a chocolate walnut finish that will blend nicely with a wide variety of decor. 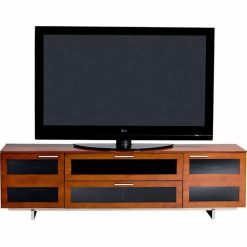 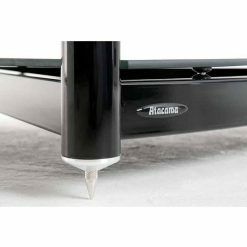 It is recommended for rear projection TVs and flat panel televisions up to 55inches. 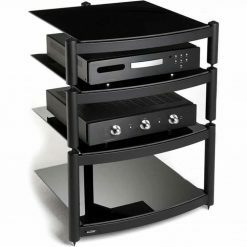 The BDi Avion 8925/CW stand arrives assembled with the exception of the leg assembly. 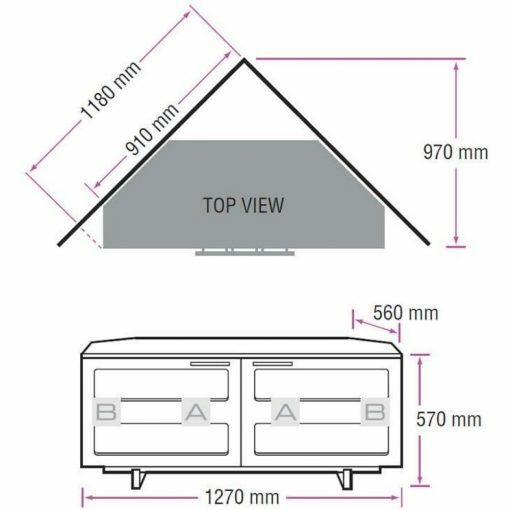 Images may show the optional Arena 9970 & 9972 TV mount.